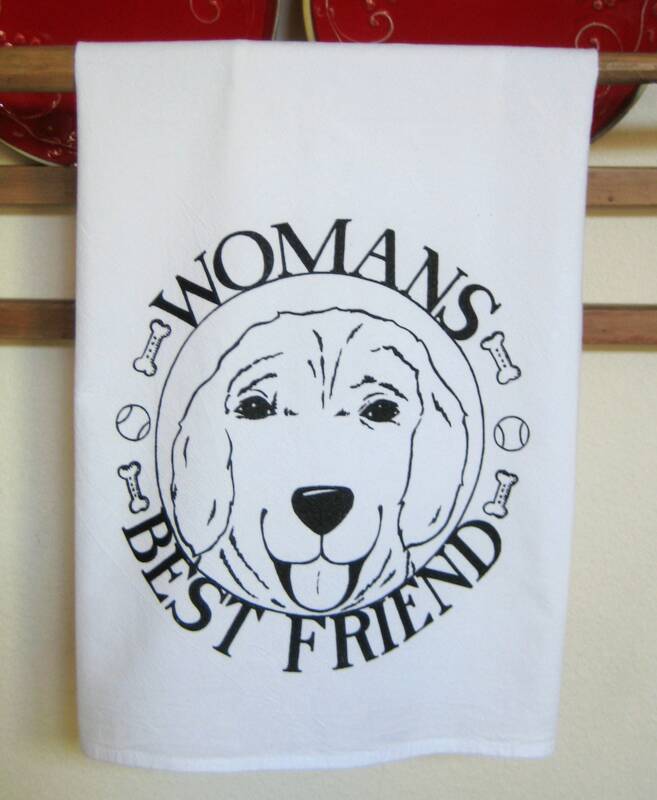 Womans Best Friend kitchen towel celebrating your furry BF. Original happy illustration printed on large, nice quality, white, cotton kitchen towel, appx 29X29. Design is printed bottom, center of towel, meant to be shown when towel is folded, hanging on rack or oven door.